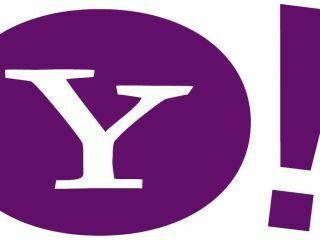 Yahoo to partner with Google instead? After repelling Microsoft's advances, could Yahoo make a surprise move to cosy up to Google? The weekend’s front pages may have been splattered with news on the Microsoft + Yahoo = what? story, but Reuters has come up with an alternative to the deal: that Yahoo will simply partner with Google over online services. Initially, this would seem unlikely. But after seemingly eschewing a succession of friendly bids from Microsoft and potentially now a hostile one – well, what better way to bite back? Yahoo seems to believe that Microsoft has seriously undervaluing it at $31 a share, but it’s been well documented that Yahoo is ailing. Recent reports that it is to shed 1,000 people may have been speculation, but it’s clear to all that something needs to happen at the company. If it is not to be Microsoft, Google could provide a warm seat by the fire in exchange for Yahoo’s content. A source told Reuters that Google and Yahoo have recently held talks – though how far ranging these were isn’t clear. However, it seems certain that Google won’t enter into a bidding war if only because a bid would be unlikely to get past competition regulators. As we’ve reported, Google has urged regulators to get involved. Microsoft chief legal eagle, Brad Smith, responded yesterday, saying that the move would, quite bizarrely, increase competition. "The combination of Microsoft and Yahoo will create a more competitive marketplace by establishing a compelling number two competitor for internet search and online advertising. The alternative scenarios only lead to less competition on the internet." Hmmm. According to the news agency, Yahoo’s top brass sent an email to staff on Friday saying that “absolutely no decisions have been made - and, despite what some people have tried to suggest, there's certainly no integration process underway". The Wall Street Journal has also alleged that Google’ chief Eric Schmidt telephoned his Yahoo counterpart Jerry Yang to offer assistance in thwarting Yahoo’s bid. As well as an enviable suite of web apps and online advertising know-how, Yahoo has also made strides in the mobile market, which Microsoft could be keen to exploit.